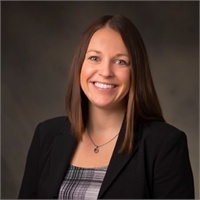 Carey began her financial services career in 2001 and brings experience from Morningstar and Mercer Investment Consulting before she joined Caritas Financial in 2013. In her previous positions she researched both traditional and alternative investments for institutional clients including endowments, foundations, and defined benefit and defined contribution plans. Carey received her Bachelor of Science in Business Administration with a focus in Finance from The Ohio State University. She holds the Chartered Financial Analyst®, Chartered Alternative Investment Analyst®, and Accredited Investment Fiduciary® designations. Carey is a member of the Chartered Financial Analyst Society and the Chartered Alternative Investment Analyst Association of Chicago. She also volunteers for the National Multiple Sclerosis Society.